Each year, Indonesia’s rainforests are illegally set aflame to clear more space for commercial palm tree plantations. These monocultural land plots exist to advance the mass production of palm oil — an inexpensive vegetable oil that’s common in grocery stores and fast food restaurants, particularly in the United States. 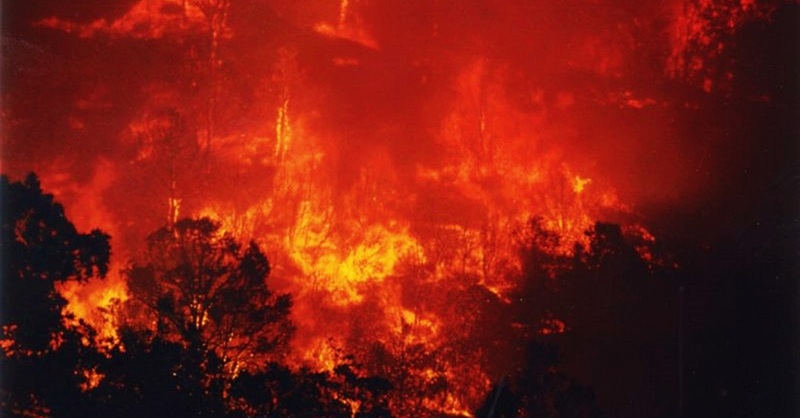 While it is normal for these intentional fires to spark outrage among conservationists, this year’s fires have burned an enormous area of rainforest and peatland habitats: 2.1 million hectares, or about 8,100 square miles. As of 2014, rainforests covered roughly 600 million hectares of the earth’s surface. While 2.1 million may seem small in comparison, each burned forest adds up to something significant. Before the industrial revolution, tropical forests covered 1.55 billion hectares — that means only about 38% of our peak rainforest coverage remains. While in theory we can regrow a leveled forest within 65 years, it can take as many as 4,000 years for a rainforest to regain its full functionality. And even if we don’t restore our forests, the carbon debt we accumulate by leveling Indonesia’s peatlands could take more than 840 years to reverse. Palm oil producers have made it clear that they value money more than rainforests and the future of our planet — so let’s show them we mean business. Demand the Indonesian government take action to protect our planet by increasing the cost of palm oil production, and deterring the destruction of vital rainforest habitats. Some might argue that replacing trees with trees negates the problem of deforestation, but that’s not the case. Rainforests rely on biological diversity to maintain a sustainable ecosystem; palm tree plantations result in a uniform, less eco-friendly environment — one that’s much drier, hotter, and largely lifeless. Palm oil production in Indonesia has been blamed for the sharp decline of orangutan and Sumatran tiger populations, and is a major contributor to carbon emissions in our atmosphere. When forests are burned, a thick and deadly cloud of smoke is released into the air; palm trees aren’t much help in reversing the effect these emissions have on our climate. Humans and wildlife alike have been severely affected by this year’s haze of smoke, which according to NASA has engulfed at least six countries around the island of Sumatra. People and animals in those areas are currently at a high risk for respiratory illnesses, suffocation, and even death. The haze has already taken the lives of twenty-one people, and caused respiratory infections in 500,000 more. Native endangered species have it worse. Many orangutans, for example, have lost their food supply, habitat, and have been burned, or infected with respiratory disease. There are only about 50,000 orangutans left in the wild today, and these fires are putting as many as one-third of them at risk. 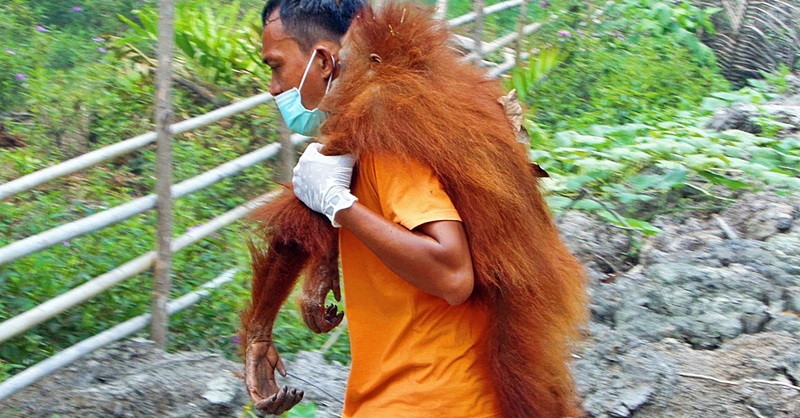 Yet, despite all this, the Indonesian government has yet to cancel its plans to double their production of palm oil over the next five years, due to ever-increasing demand. So let us know: Would you give up your french fries and sandwich cookies to save endangered wildlife, and secure the future of our planet? With your help, we can ensure the protection of the forests of Indonesia, and save the precious wildlife who live there. For less than four dollars, you can protect an acre of rainforest on the island of Sumatra, where endangered orangutans, rhinoceros, and tigers make a home.